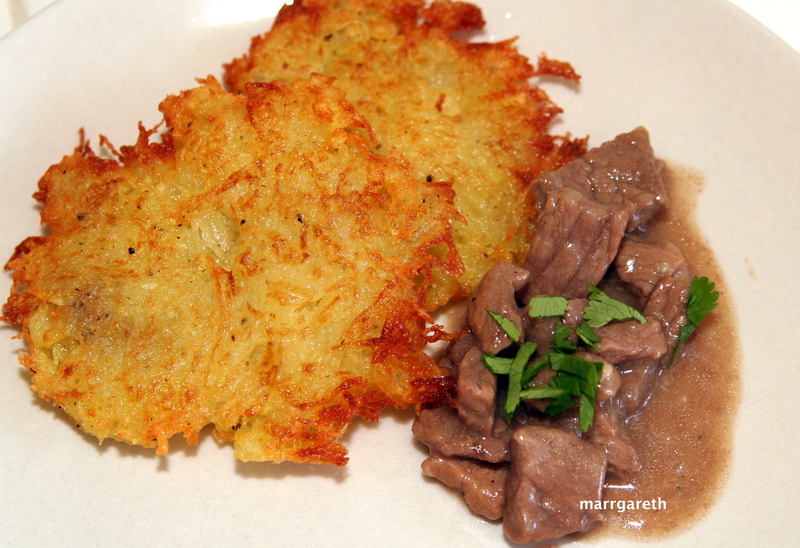 You can serve the beef stew with potato pancakes. My recipe for beef stew does not contain eggs or milk. 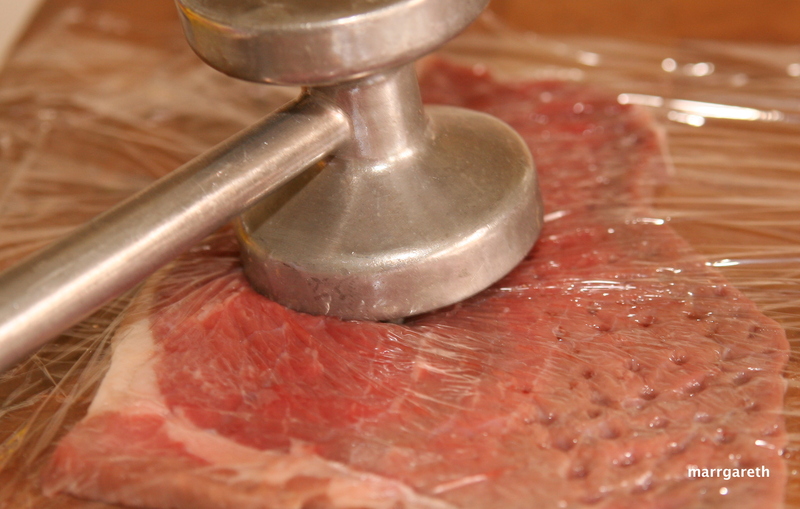 Put each slice of beef between 2 pieces of plastic warp and pound using a kitchen hammer. 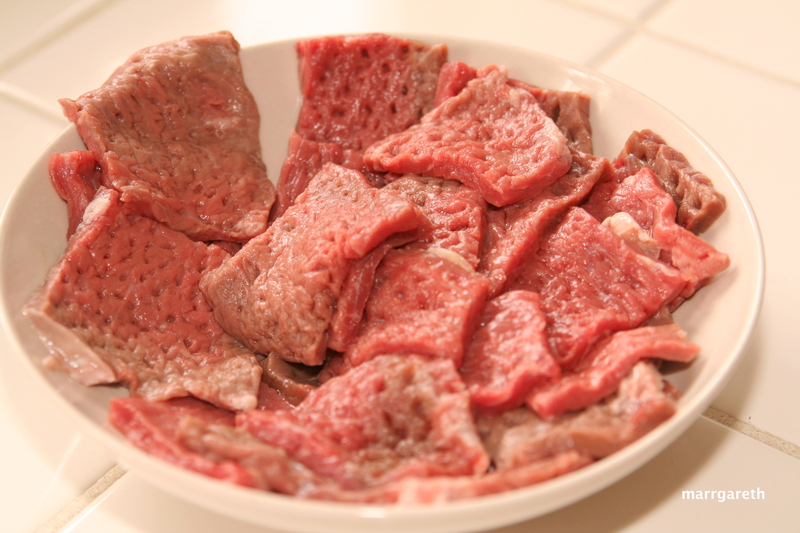 Cut beef slices into small pieces. 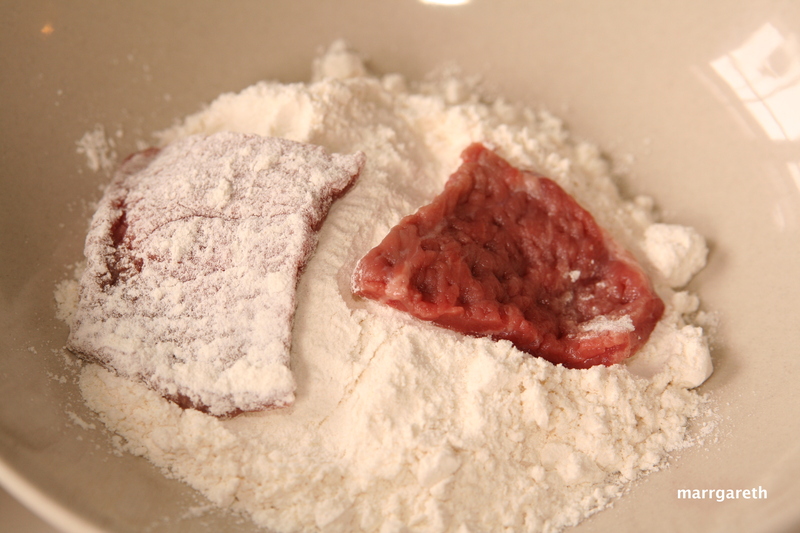 Dip each piece of beef in the flour on both sides. 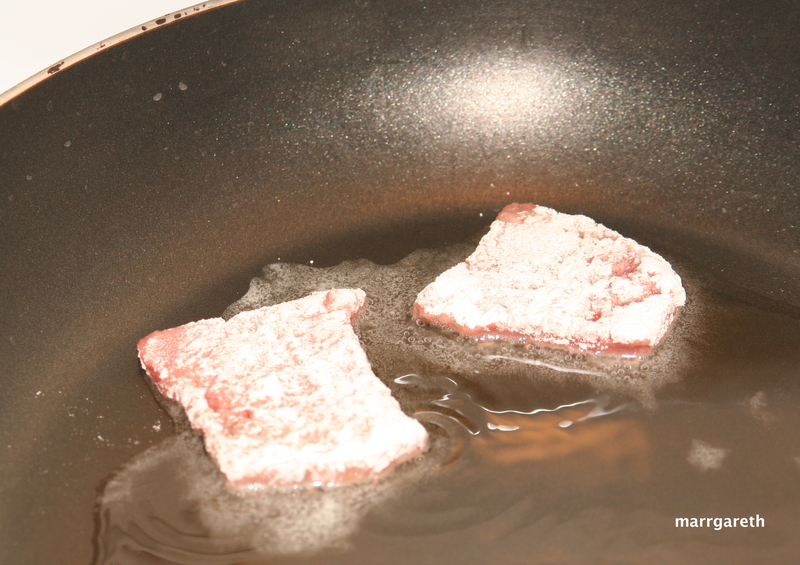 Heat 3 tbsp of oil on the pan and fry the beef pieces on both sides, then transfer them to a medium saucepan. 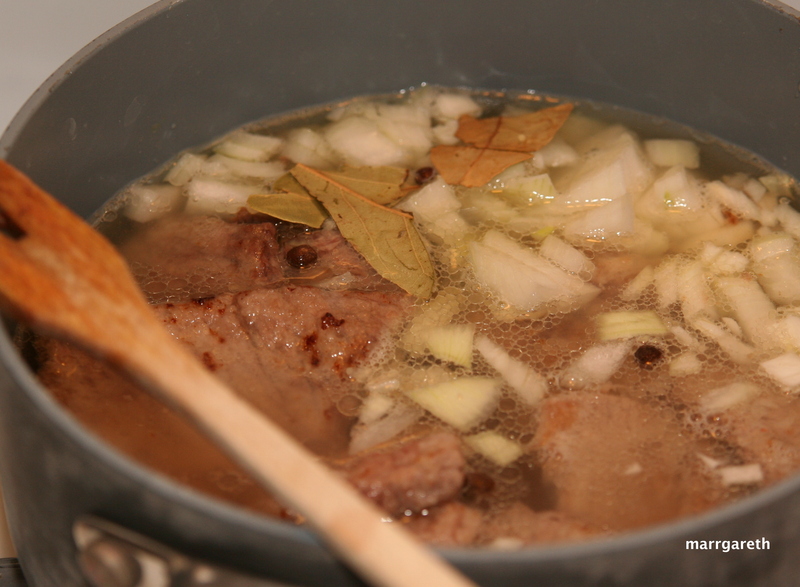 Pour water into the saucepan, add the bay leaves; allspice and onion. Simmer covered for about 30 – 40 minutes or until meat is tender. Season with salt and pepper at the end of cooking. Serve with potato pancakes and kosher dill.